A gaming console is an interactive electronic device that works by manipulating a video display signal onto a television, or other display device, to allow the user(s) to play and view a game. Or, a gaming console is something that you can connect to a TV or some form of a screen and get your World of Warcraft on! Many people can’t forget the days of the Magnavox Odyssey 100 or even the Atari since they brought enjoyment into many homes. Let’s not leave out Mario and Luigi and their introduction by Nintendo which further propelled the popularity of video games and consoles. The game you wish to play and the console you are using will determine the accessories that are required. Some games require the use of a joystick or steering wheel to play, while others only require the standard controller that was packaged with the console system. Other consoles and peripherals, such as the Nintendo Wii system, XBox 360 Kinect, or Playstation Move require players to move around a room to play the game with controllers and even their bodies. 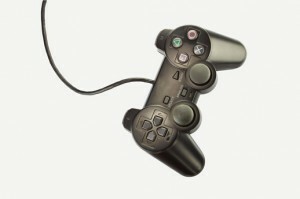 Other accessories can be purchased for gaming consoles that enhance the playing experience for its users. For example, S-video cords enhance picture quality and additional memory cards allow more game information to be stored for later use or transferred to another console. To learn more about the accessories available for your game console, consult your user guide or the manufacturer’s web site. Where Can I Buy Consoles and Games? Many retailers, such as Best Buy, Walmart, and Target have consoles and games available for purchase both in-store and online. The majority of these retailers also have the consoles available in their stores for customers to play with and preview before purchasing. Online retailers, such as Amazon and EBGames, also have consoles and games available for purchase through their web sites. Some sites even allow parents to search for games based on their ESRB rating, to ensure the right purchase for a specific age child. You can get even more enjoyment out of your gaming console by being able to connect the device to a Wifi Internet connection and enjoy the benefits of online connectivity. Get started here on some of the most common gaming consoles. cNet: This site offers product reviews for consoles and games based on price, manufacturer, and type. BizRate: This site offers product reviews and information regarding video game consoles. IGN: Not only does IGN offer resources and reviews for all of the major gaming systems, serious gamers can even take advantage of game cheats and Wikis that assist in fierce competition…. If you like that sort of thing, of course! EBGames: This site allows users to shop for new games by platform or ESRB rating and offers a large selection of games for consoles, handheld game systems and PCs. EBGames also offers used games. GameFly: This site allows users to rent and purchase games for gaming consoles and handheld gaming systems such as Nintendo Wii, Nintendo Game Boy Advance, Sony PlayStation 3 and Microsoft Xbox.